Don’t let a good espresso machine go bad, pre-filtered water cuts down on scale buildup and remember to stick to a regular cleaning/maintenance schedule; your machine will thank you for it! 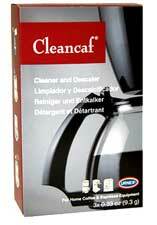 Urnex Cleancaf, espresso machine and coffee maker cleaner & descaler. Specially formulated to clean and descale Home espresso machines and coffee makers. Cleancaf removes both coffee oils and calcium (lime scale). 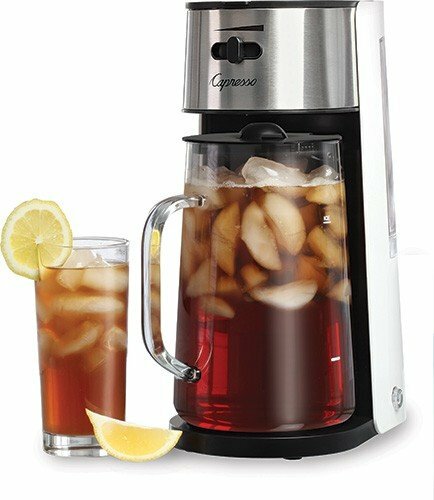 Keeping your coffee maker and/or espresso machine is essential to maximize the great taste of coffee. 2 Boxes of 3 packets each, Urnex Cleancaf, 2 Boxes: $10.00.